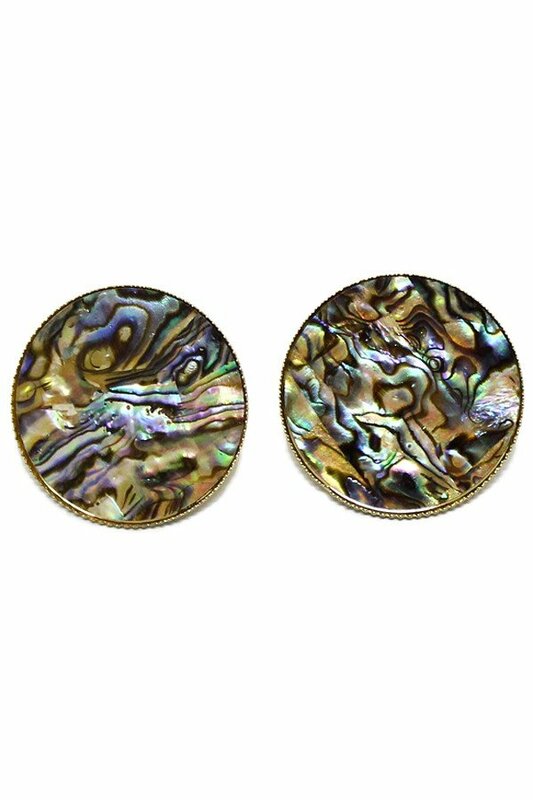 Description: Abalone shell round post with a gold trim. Approx. diameter 2.25".